This story had everyone in a riot. Poor little Froggy is in such a rush to get outside and play that he steps out first with no clothes, then he forgets his pants, his jacket and it goes on and on. 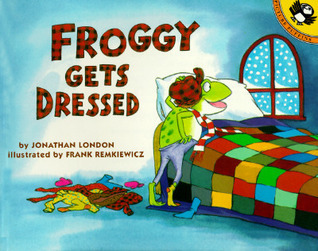 You almost feel bad for little Froggy, but he finally gets all his winter gear on and gets to have a little fun.